Laine CunninghamI will be reading from The Family Made of Dust and Reparation. Both novels deal with individuals from tribal communities who were historically forced into migrations to new locations; their stories interweave with the stories of the peoples who are now being forced to flee their homelands. In this thrilling debut novel ranked alongside Pulitzer winners, a gripping search for a missing best friend unearths the real price one adopted boy paid for a government’s attempt at genocide. Gabriel Branch is a man displaced. Having lost his boyhood family to brutal adoption policies, his carefully constructed adult life balances on an emotional razor’s edge. Then his best friend disappears in the vast desert that is Australia’s interior. The only clue is an Aboriginal artifact that leads Gabe back to the land of his birth. As he searches for the friend who was like a brother, memories arise unbidden. Memories of the uncle who swung him up into a tree and called him Little Breeze. Memories of the mother he lost. Memories of the sickly sweet candy social workers used to steal him away to an orphanage where he and his brother were separated first by walls and then by different adoptions. Armed only with his totem animal, Gabe must find real peace before a tribal shaman and the weight of his past crush him completely. 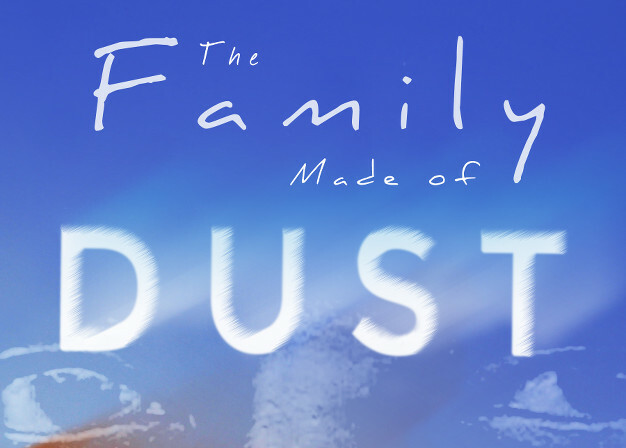 Eerily mysterious, vast, dangerous and beautiful, The Family Made of Dust is a remarkable story about the special relationships families can hold dear even when they have been broken apart…and how a spare and beautiful landscape imbued with the mystical energy of the Dreamtime can resurrect that which we hold so dear. Fans of Sara Gruen’s At the Water’s Edge will appreciate the suspenseful elements and fabulist mysteries while readers of Sue Monk Kidd’s The Secret Life of Bees will feast on the details of lives that are so different and yet so similar to their own. A short vacation turns into a sinister game to save a sister and a lover from a peyote cult in this compulsive and compelling story from award-winning author Laine Cunningham. The words from an ancient warrior’s song ring through the centuries to find Aidan Little Boy, a Lakota Sioux man intent on rescuing his sister from a religious cult. When Aidan Little Boy visits his sister at her church’s South Dakota headquarters, he hopes the minister’s reputation as a faith healer is real. But Gidgee Manitou is something far more powerful…and more dangerous. As the Reparation ceremony draws near, secrets long buried rise to the surface like souls plucked from their graves. The ghosts of warriors past chant the sacred Tokala song, telling Aidan that in this battle, lives must be lost to save the innocents. A profoundly moving story about the abiding love between siblings and the strength of romantic love, Reparation is both a gripping page-turner and an emotionally charged journey through the brittle first tendrils of love into the power–and destructive capabilities–of love in its many forms.